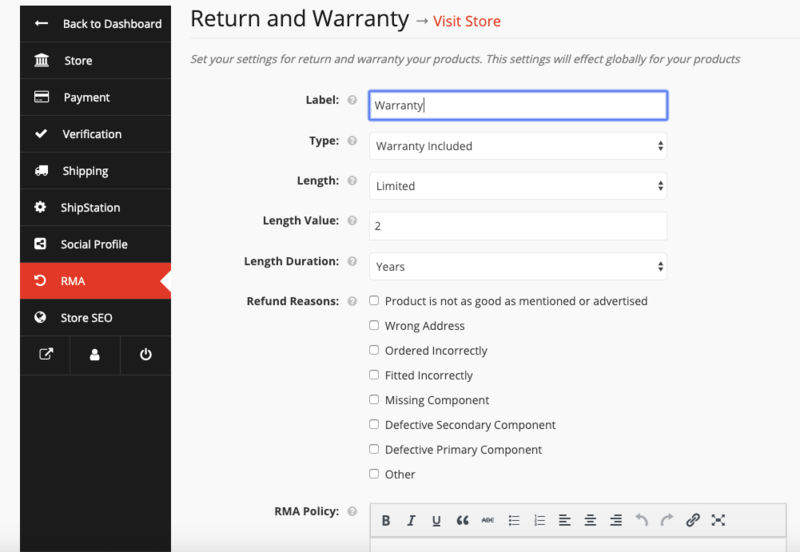 This is the part where the vendor adds a label to the RMA facility for the customers for his all products. 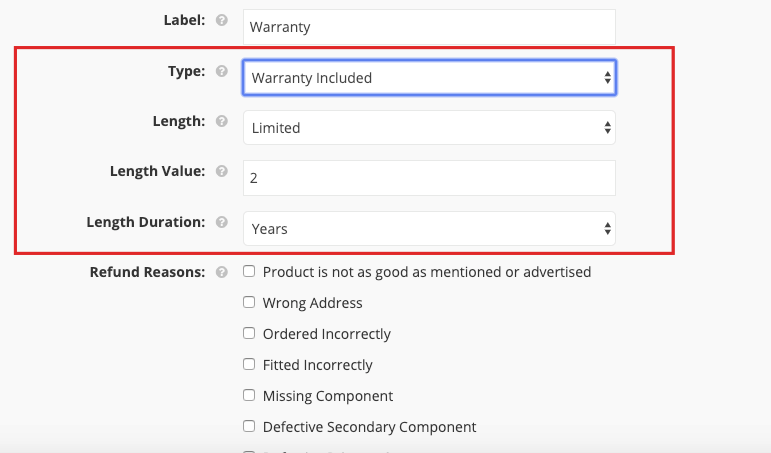 In this case, it is labeled as ‘Warranty’. 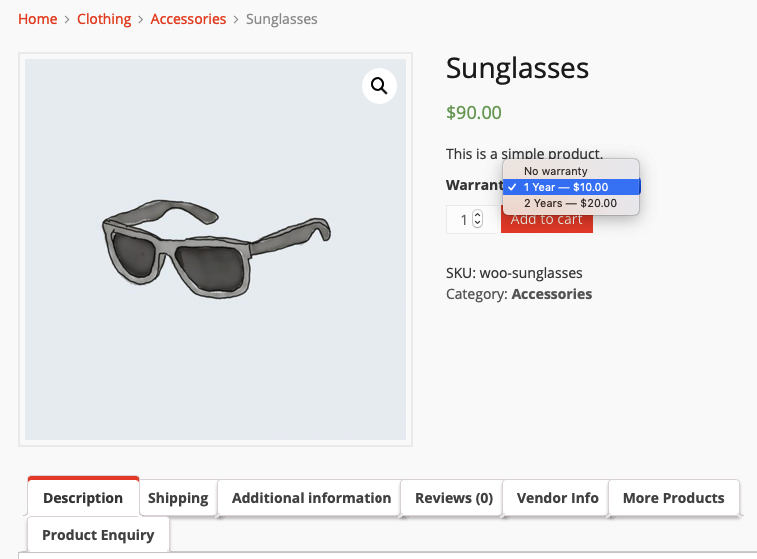 The vendors can add any label of their choice. 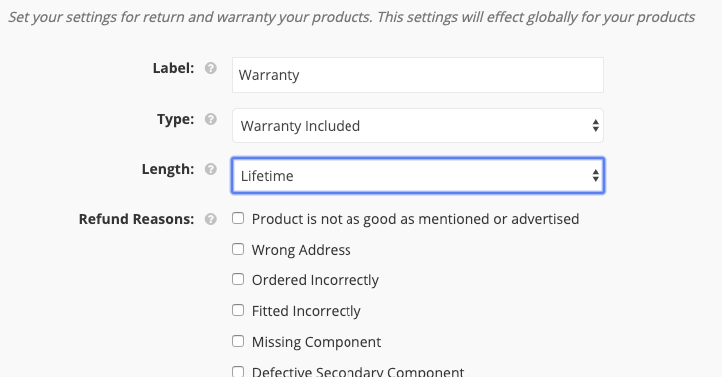 The type ‘No Warranty‘ will reveal no new option but selecting ‘Warranty Included’ will add three more options, Length, Length Value and Length Duration as seen below. 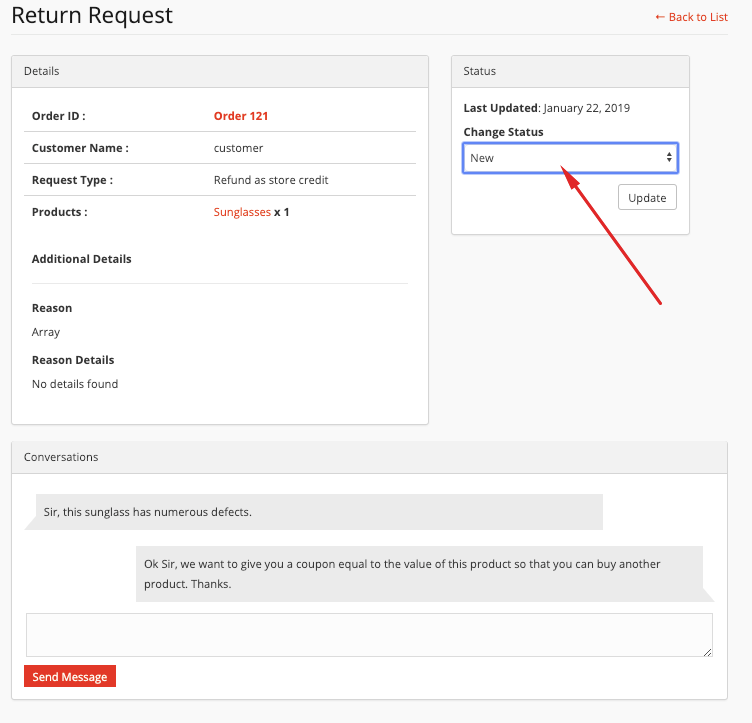 To manage customers’ RMA requests, the vendor has to go to his/her Vendor Dashboard > Return Request > Select the ‘Manage’ or Click on the view icon. 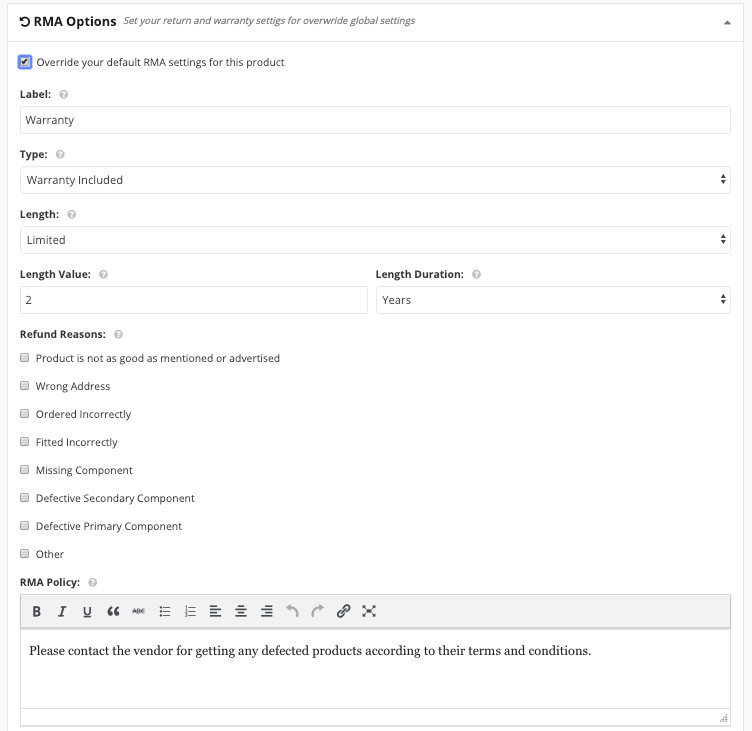 Processing: When the vendor sets the status to processing, the customer will be able to view the RMA requests’ status as ‘Processing’. 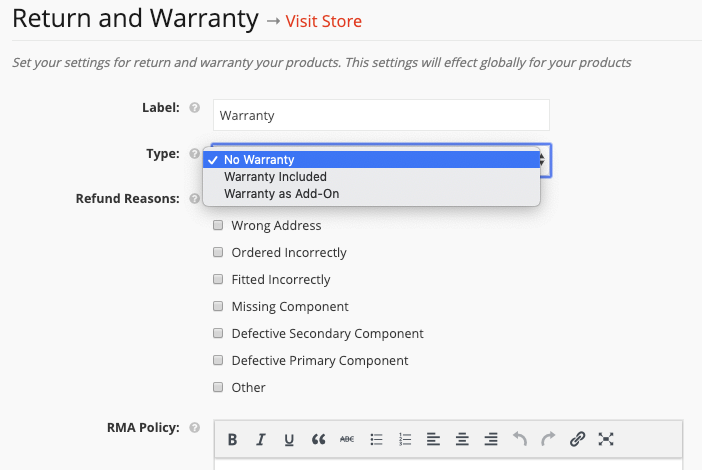 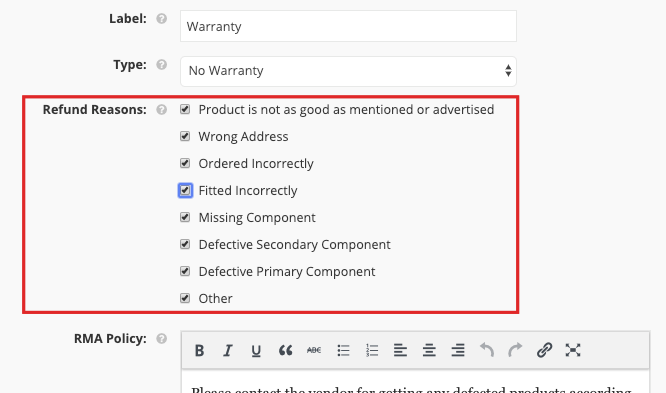 Here, for the customers, the warranty period is fixed for the ‘Warranty Included’ warranty type as seen below. 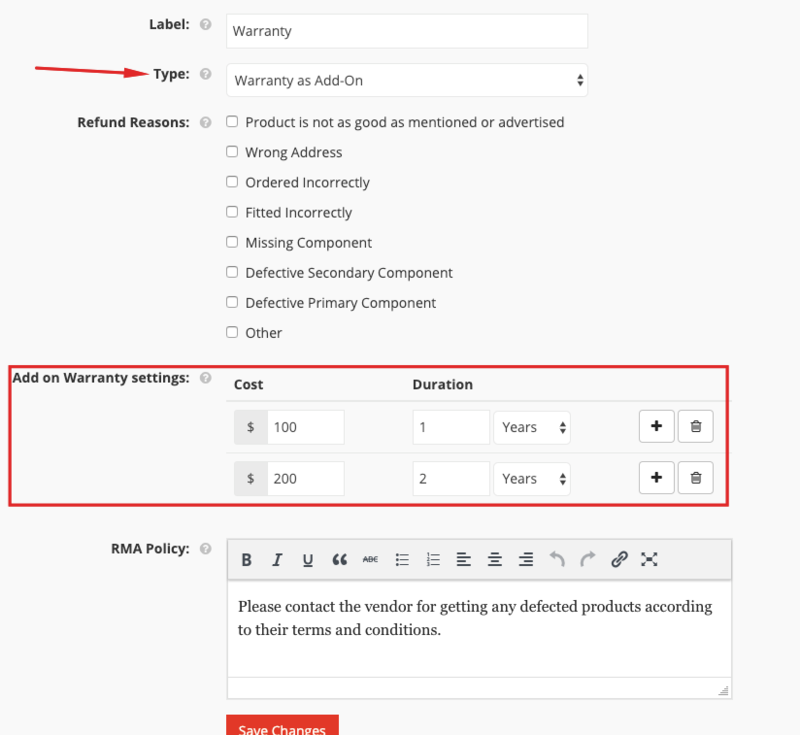 As for the ‘Warranty as Add-on’ warranty type, the customers get to choose the provided warranty duration for some extra cost set by the vendors.